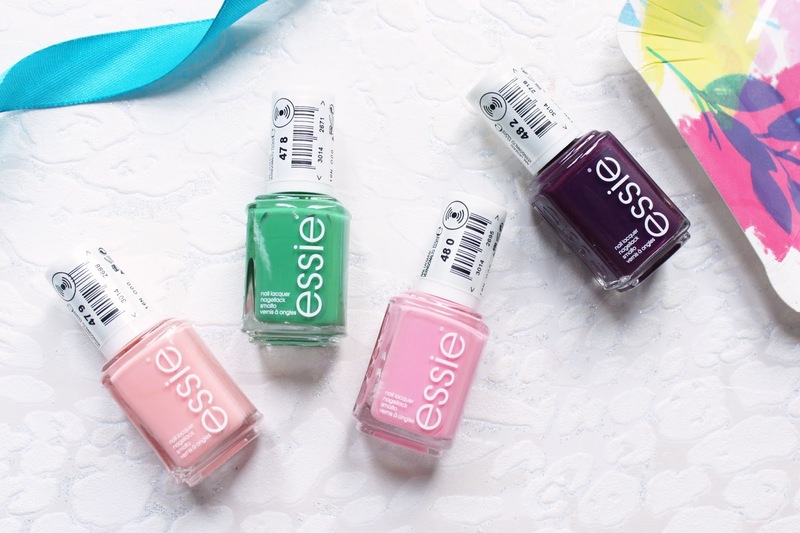 Essie is one of my favourite nail polish brands so when the new Spring collection for 2017 arrived at my door, I couldn't wait to paint my nails! I currently have four out of the six shades from the collection and I am definitely going to pick up the other two shades next! If you are ever looking for a nail polish to treat yourself too, make it an Essie! 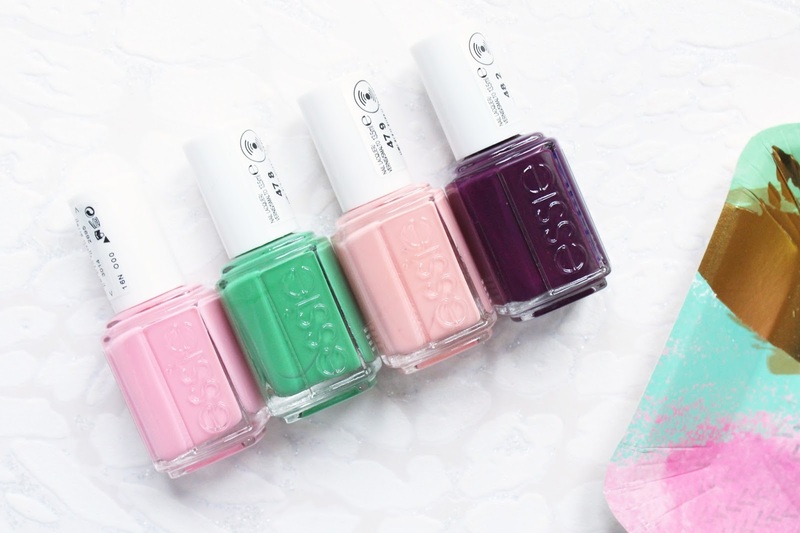 The Essie Spring 2017 collection, A Day of Fun in the Sun is limited edition and will be available until the 2nd of May in Superdrug and the 9th of May in Boots. This collection has some gorgeous pastels perfect shades for Spring like Excuse me, Sur and Backseat Besties but also has some deeper bold shades like Designated DJ. I have always loved Essie formulations as they apply very smoothly to the nails and these are no different! I am a little impatient when it comes to waiting for my nails to dry so I like to use something like the Quick-e Drops. I never use a top coat when I do my nails as I normally just forget too but Essie nail polishes to have a great glossy finish to them and are very long lasting on my nails. I find I can usually get at least five days of wear time before they start to slightly chip, this is so impressive for my nails! Each of the four shades that I have from this collection only needed two coats to achieve full pigment that you see in the bottle. The only two shades I don't have at the moment are B'aha Moment! and All the Wave. The two lighter pastel kind of shades which scream Spring are Backseat Besties and Excuse me, Sur. I can already tell how much I am going to use these in the next few months, especially with Excuse me, Sur as I am in love with these kinds of shades at the moment, Essie's Spin the Bottle is my favourite nail polish! When I think of Spring, I don't often think of deep plum shades as they are something I would usually wear in the Autumn/Winter months but I have been really enjoying it and I have used it the most out of these four shades so far! I love bold shades like this as I find they really compliment my skin tone. I'm not usually a fan of green nails but On the Roadie is a lovely shade of green and I have been really enjoying wearing it as an accent nail with Backseat Besties. The Essie Spring 2017 Collection is available - HERE.